Top graduate of the National Pedagogical College “Carol I” in Câmpulung-Muscel, Arges, Cristina Elena Cristescu went on to attend the Faculty of Journalism and Communication Sciences, University of Bucharest, graduating in 1994. She continued her studies in the Netherlands at Utrecht University and in Denmark, obtaining a Master’s degree in European Studies and Journalism. For ten years, Cristina Elena Cristescu was correspondent of the BBC World Service in The Hague. Her most rewarding project is the Netherlands-Romania Foundation, which promotes Euro-Atlantic integration and focuses on intercultural exchanges between young people across Europe. One of the special projects initiated by Cristina, for the first time in Romania, was the “Moot Court Europe 2017”, meant for high-school students. 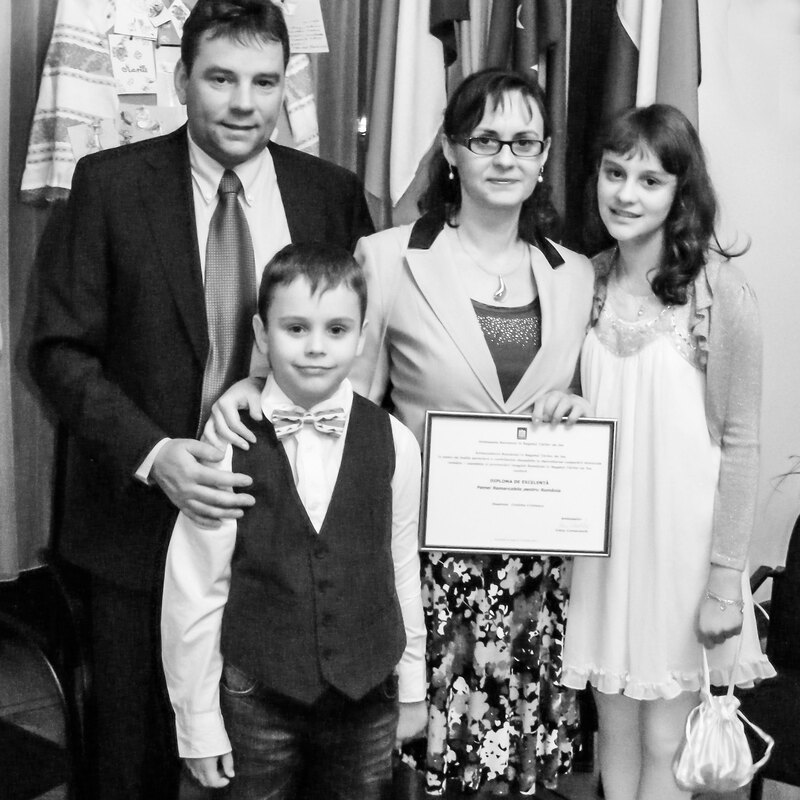 In 2009, Cristina received an “Award of Excellence” from the Romanian Embassy in The Hague for her “remarkable contribution to the promotion of Romanian values in the Netherlands”. In 2013 the Embassy granted her the title: “Outstanding Women for Romania” as a sign of high appreciation for contributing to the development of the Romanian-Dutch bilateral cooperation. In 2017, on the occasion of celebrating 150 years of its existence, the National Pedagogical College “Carol I” in Câmpulung-Muscel awarded her a “Diploma of Excellence” and called her the “Opener of the European Gates for the students of the College”. I came to the Netherlands for the first time in the summer of 1995, for one week, attending a summer course at the Amsterdam-Maastricht Summer University. After that week, I went back home with many experiences and new friends, but without any intention of returning to study or to live in this country. One year later I won a scholarship within a Master Program in Journalism and European Studies, by coincidence in the Netherlands. So, I came back here. This time in Utrecht, for a period of six months. Then I went to Denmark for the second part of the program, and after graduating I returned to Utrecht. I had already made friends here. Next to that, two colleagues from the Master’s program – she Finnish and him Dutch – had set up a media company and they asked me if I would like to work with them. That is how my story started here in the Netherlands, in 1996. At the beginning I was working as a press correspondent for PRO TV and Mediafax in the Netherlands. At that time, I was one of the two or three foreign correspondents the Romanian media had abroad. In a way, I could say that I did pioneering work in the field – and at the same time voluntary work, but that is another story. I also covered Brussels for quite a while, since they did not have a correspondent over there at that point. That was a very exciting period, and I think many journalists would like to have it in their portfolio. In 1998, I also started working for the BBC World Service and I remained their correspondent in The Hague for ten years. That was until 2008, when the Romanian language section was closed. It was also the moment when I stopped working as a journalist. At that time, there were not too many press institutions in Romania able to reach the BBC level of professionalism, and after so many years of collaborating with them, I did not want to downgrade. Shortly after I came back to the Netherlands (1996), I also applied for a job of course leader at the European Journalism Center in Maastricht. In parallel with working as a press correspondent, I was also coordinating programs of introduction to the European Union institutions and policies – addressing to journalists from all over Europe. I met extraordinary people there, with whom I would later engage in a great and – I think, now – unique project. It is a project I have been developing over the last 17 years and of which I am very proud: Foundation Netherlands-Romania. In 2001 I took the founding papers over from a good friend of mine, a writer, who was leaving the Netherlands and who had led the foundation in the 1980s, during her exile from Romania. I am talking about Monica Săvulescu-Voudouris. When I took it over, the organization was dealing only with cultural events and meetings. I decided to redefine its objectives, to change the name, the status and the board, and I started with a completely new entity – adjusted to the realities of that time, but also to my areas of interest and activity. I invited three of my most prominent speakers from the projects I was coordinating at the European Journalism Center to join the new board. All of them – renowned Dutch personalities – accepted. That is how I created an organization which did not actively seek the spotlight but managed to achieve quite some things in over 17 years since we started. Board members have often used their position, experience and contacts to promote the Foundation’s interests; one of them – the most important – being the creation of a realistic image of Romania in the Netherlands and in Europe, but also the other way around. And I think we have been accomplishing this aim especially through the projects for young Europeans. We started from a bilateral, Romanian-Dutch approach, promoting many projects that focused on the Euro-Atlantic integration of Romania, but we have been slowly expanding our field of action. I would like to mention one more thing about our Foundation. Recently, one of our board members, Mr. Wim van Eekelen, was decorated by the President of Romania with the highest award: National Order “Star of Romania” in rank of Commander. I was extremely proud at that moment. I knew that a part of that decoration was due to Wim’s involvement in the activities of the Foundation. I have often wondered why people like Wim accepted to dedicate some of their free time to the Foundation and to support Romania, when many voices were still against it. Wim had a noble, visionary attitude, and that is the only way one can build something everlasting. And I have one more story to finish answering your question. A story which made the bridge from the professional to the personal life. Confirming, over and over again, that you never know where you are starting from and where you are ending up, in life. I remember it was a rainy day and I had to push myself hard to travel from Utrecht to The Hague, where a delegation led by the Romanian Minister of Defence was paying an official visit to the Dutch Minister. I had to make a transmission about that visit, since it was an important period for Romania, when joining NATO was a priority objective. I arrived earlier in The Hague, and the meeting between the two ministers was running longer. So, the spokesperson of the Dutch ministry was asked to keep me company. Therefore me, the press correspondent in The Hague and him, the spokesperson, were waiting together for the two ministers to come out of the meeting. That is how I met Jaapjan, with whom I have been sharing my life there since. This way, my Dutch adventure has been enriching with a new dimension: I have been discovering the society and local culture through the eyes of a mixed family. How was your beginning here, in the Netherlands? The beginning was fascinating and fast-paced, I would say. I always had the impression that new horizons were opening up for me at every step. It was a beginning full of experiences and opportunities, one more interesting than the other, both at personal and professional level. And I did not let them pass me by. At least, that is what I think. Everything under the slogan: “hoping for the best but expecting the worst”. I think the context has also been favorable to me. Let’s not forget that we are talking about the 1990s, when the fall of the communism was only a few years behind us. And in the Netherlands, at least, people still had extraordinary openness and sympathy for Romania. 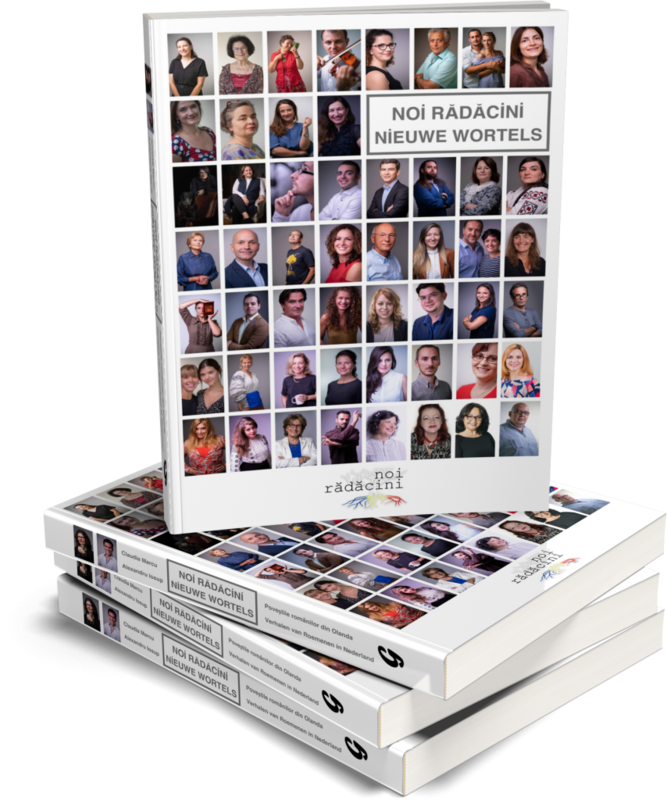 I remember that at some point I made a report on the existence of more than 350 Dutch associations, organizations and foundations involved in charity, helping and befriending Romanian communities. In this aspect the Netherlands was by far the most prominent international presence in Romania. I was always impressed by the warmth and openness of the people around me. Often when talking to someone and mentioning that I was from Romania, they had a story to add: they had either been to the country, knew someone who had been there, or were involved in some humanitarian activity. I remember that even when I went to the bank, to open an account, the bank official shared his own story about Romania. Therefore, all these experiences were radiating a positive energy towards the country. Unfortunately, I felt it extinguishing over the years. When did you start feeling it was extinguishing? Difficult to say. It certainly occurred gradually, but I can say that – once with the opening of the borders – the stereotypes and negative examples were appearing increasingly in the Dutch society. Unfortunately, that aforementioned positive energy has been gradually replaced by a negative wave, generated by prejudices towards Eastern Europeans in general. In particular towards Poles, Bulgarians and Romanians, as you know yourself. Even in my Dutch family, I have felt now and then a subtle presence of these prejudices. I remember an episode from a family meeting: the kids were playing with the telephone and somebody wondered about how the access code can be broken. When my daughter Tia took a phone and proved that she was able to break the code, someone made a funny remark: “Yes, one can see you have Romanian blood too.” At that moment, I realized that the joke actually carried behind it a whole cultural thinking pattern. And I asked myself then: if people in the family, who know me closely, who are highly-educated (lawyer, doctor etc) – if they instinctively activate this pattern – how hard is it then to break the stereotypes about Eastern Europeans for ordinary people? And for those who have not come in contact with anyone from that part of Europe? And I have to openly admit that I have faced this attitude dozens of times, within the projects of the Foundation. And unfortunately not as a joke, as it was in the case of the family. I still have in mind one episode at the end of a project back in 2013, when a group of Norwegians was also among the participants. On the first day of the program, I asked them what they knew about each other. The Norwegians – with whom the Dutch also agreed later on – said frankly that Romanians and Bulgarians come to their country, are begging and living on the streets, stealing their social benefits. And that they are “bad people”. They used exactly this expression. After one week, spending a lot of time with each other, the opinions changed. At the end of the project, the Norwegians apologized with an overwhelming sincerity for what they had said at the beginning of the program. They were hugging the Romanians and – with tears falling from their eyes – they were saying they would never judge people based on prejudices. And that, for them, this was the most important lesson of their life. I have learned that, although our projects may appear to produce changes at micro-level, the impact is in fact much bigger; they have an inevitable domino effect. The experiences of the students are creating a certain resonance – smaller or bigger – in each of their own communities. A simple calculation showed us that in 17 years we have been organizing more than 50 projects. And I am only speaking here about the intercultural programs, attended so far by over 2000 students and teachers from all over Europe. In each participant we have planted a seed of knowledge and of opening of new horizons. What do all these experiences mean to you? For me – and for everyone at the foundation – there is no greater reward than this feedback from those, for whom we have managed to make a small difference. I know, from my own experience, how much it means when somebody is able to open your eyes. To create opportunities for you to be able to look beyond so-called borders. How do you feel in the society you are living in? I have never missed Romania in the true sense of the word. Through the nature of my activities, I have always been anchored in the atmosphere at home, so I never felt like an immigrant here. Practically, we have always been swaying between Romania and the Netherlands, both me and my family. We have raised the children in the same spirit. They feel at home both here and there. I think this is a great achievement. Their manner of speaking does not give them away, neither in the Netherlands nor in Romania. Nobody would notice in Romania that they are born and raised in another country, while in the Netherlands it is impossible to guess that they are not Dutch 100%. They are world citizens. On that same note: the fact that both of them are perfectly trilingual is something I am really proud of. We managed to raise them in such a way that they speak Romanian, Dutch and English at a native level. 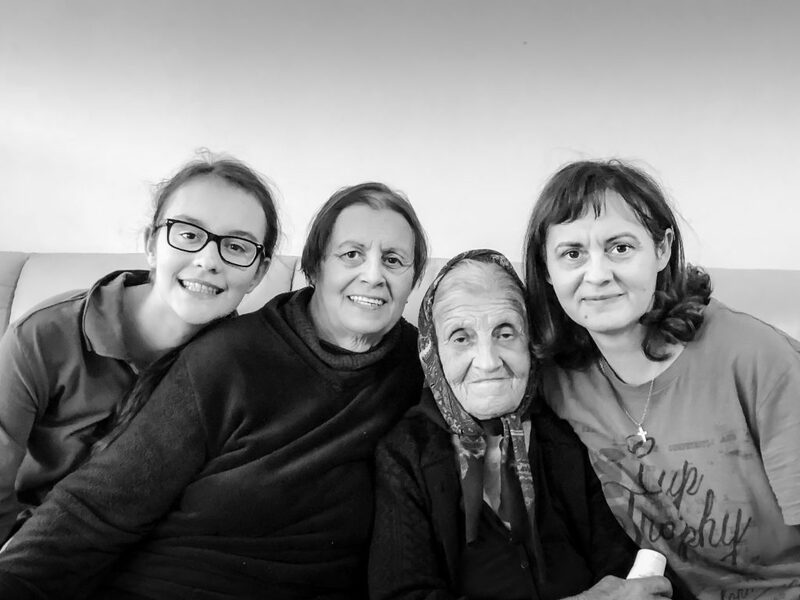 I have been very keen on them learning Romanian, as I have seen many tragic situations when grandparents had their eyes full of tears because they could not communicate with their grandchildren. I promised to myself that, when I got children, I would do my best to avoid such a situation. And now, when looking back, I think this is one of our greatest achievements as parents. But to come back to your question, I do not know if there were very many other places in the world where I could shape myself and grow towards the person I am today – the way I have been doing it in the Dutch society. I think the opportunities coming my way here, have been decisive in my development – both professionally and personally. At the beginning, it seemed strange to me that the society was focusing on helping the weak and helpless ones while doing nothing for the elites. Just as I could not understand why the doors opened at 10 o’clock sharp, although those who should have opened them were already behind them a few minutes earlier. One of the first cultural shocks that stays on my mind was from the 50th marriage anniversary of my parents-in-law. They rented a castle somewhere in Belgium and – among other things – we had to choose three months earlier if we wanted to eat fish or meat at dinner, or if we would prefer going to a museum or taking a walk. I did not get used to this sort of planning yet, but I gradually discovered its advantages and I learned to assimilate it. And, when necessary, to tolerate it. I often discuss with the children such examples. I think it is important for them to know that there is also another way of living, beside the rigorous life planning in the Dutch society. If we manage to distinguish and to choose the best from each culture, then I think we are rich people. Another example is now crossing my mind. On her first day of high school, the first thing my daughter Tia learnt was a scheme ready to implement in case of unexpected events. She already knew which school colleagues she should call in case some unforeseen crisis would ever happen. Everything was planned according to the distance everybody was living from the school. Another example related to my son Elis: at one point, the school concluded that he was highly gifted. A team of eight specialists was put together with the aim of observing him for a whole day. They had to agree that he should combine two years of school in one. Finally, the only negative conclusion was that his fine motor skills were not well mastered. That, because he could not close the zipper of his jacket by himself. But the observers had missed the interference of Romanian culture in this entire process: since my mother was closing his jacket before she took him to school and was opening it when he came back home, he had not yet developed the ability to zip and unzip the jacket by himself. These are funny examples, but they show how far the level of planning and anticipation can go. Did you learn anything from all these episodes? How do you look back at all these years living in the Netherlands? If I look back, I can say that I had the chance of being educated in a special school, since many things have their roots there. I am talking about the Pedagogical College Carol I in Câmpulung Muscel, which, I actually never really left. The first projects with the Foundation started there and we have been building and developing a special cooperation, during all these years. For me, the high school stays the most important molding place. The role models I had there have been guiding me in everything I did and am doing. That is where I learned that the most important thing in life is to build bridges, no matter where we are. Neither the university years nor the postgraduate studies had as big of an impact on me – knowledge-wise – as my time at the high school. And on that knowledge, I could build later on. In more than 17 years of interacting with youngsters from all over the world, I have had many an opportunity to evaluate the impact my own high school experiences had on me. After many years, I succeeded in breaking down prejudices and building bridges – which means that I put in practice, at European level this time, what I had learned over there. I have been trying for a long period of time to raise the interest of the Dutch youngsters for Romania, but there were many disappointments as well- some of which I will never forget. I will give an example once again: a visit to a Dutch school, when the director told the students to take care of their mobile phones because there was a group of Romanians and Bulgarians in the school. Or another one: a Dutch student of Bulgarian origin asked 70 Dutch colleagues if anybody wanted to help him organize a traditional evening for a group of Romanians and Bulgarians. No one, but absolutely no one, was interested. That experience was painful. Fortunately, all these episodes came together with many other beautiful experiences. And here I also have examples. After several years of students of the Sorghvliet Gymnasium in The Hague attending the projects of our Foundation – always with positive feedback – the school asked me to help organize a bilateral exchange with a high school in Romania. I was touched by the fact that a top high school – the second one in the rank of the best gymnasia in the Netherlands – opted for Romania. And, of course, I could think only of the Pedagogical College. We are now in the third consecutive year when Dutch students go to Campulung, and Romanian students come to The Hague. I remember that the first time, there were not many Dutch students who chose Romania as their first option for the exchange. Only friends of my children, who are themselves students at Sorghvliet. Now, the exchange with Câmpulung has become one of the most successful exchange programs offered by the Dutch school. In my childhood, success mostly meant being among the top-ranking students at school. I was aiming for it, and it was also happening, and that is how I measured my success. My parents decided to send me to school in Câmpulung in the fifth grade, because – they said – the teachers were giving me the first prize since they did not have anybody else to give it to. We were just five children in the classroom, in the countryside. That is how I ended up studying at the Pedagogical College when I was ten, and I studied there for eight years. I remember there were some colleagues in the class who always called me a “peasant”, and the class leaders were reproaching me that I came from the countryside to impose on them. Being a child, that label has affected me to a great extent, but it has also made me extremely ambitious. I was working hard, and my target was to always be in the top. When the results of admission to high school came out and one of the teachers shouted that I was among the first three admitted, I had perhaps my first and most important measure of success. Another success was on the day when I published my first article in the “Free Youth” – a very loved newspaper at the time. It was on the 8th of March and I was a second-year university student. I still remember how proud my grandfather was. He was walking through the whole village with the newspaper in his hands, to show everyone the article signed by his grand-daughter. At that moment, that particular feeling of fulfilment was – for me – the definition of success. Coming to the Netherlands, I started looking differently at success. I realized that being successful does not necessarily mean to always be the first. I learned here that we are not in competition with anybody else, but only with ourselves. Nowadays, at personal level success means that we have managed to raise our children in both cultures. That they are equally Romanians and Dutch, or – as I like to say kiddingly – three quarters Romanians and half Dutch. At professional level, success means every positive reaction we get at the end of each project. And there have been many reactions from the participants – reactions that I will always carry in my heart and which mean a lot to me. Last but not least, I think that success means to always stay human and keep this characteristic, no matter how far you reach. It is hard for me to understand those people who look down upon the others quite differently when they reach certain social positions and they do not say “thank you” anymore. Not even when you give them flowers. They take everything for granted. How do you place yourself towards the Romanian community in the Netherlands? We obviously have many Romanian friends in the Netherlands, as we have many friends of other nationalities. I would say that positioning has been an individual one: we have always been building relationships with people, not with communities. What advice would you give to a Romanian who would like to come to the Netherlands now? I do not have any advice, but I can share just some of the lessons that have been guiding me all these years: to follow your dreams, to believe in them strongly and never give up. Do not make too many compromises and, very important – since we are talking about new roots – never forget where you started from. Never deny your roots. On a spiritual level, to stay faithful to yourself, to not lie to yourself. I always remember one of the shows I played in, during high-school. It was “Hamlet”. At some point, I had to say these famous words of Shakespeare, which I slowly assimilated as a principle of life: “This above all, be true to yourself”. So, above everything, to be faithful to yourself and then – as the night follows the day – you will become faithful to the others as well. It is a hard piece of advice to follow, because it requires a good self-knowledge and loyalty to your own values. But guaranteed, it takes you to your accomplishment as a human being.